Shaped as a Victorian Style Drawer, this clever little storage and display unit is perfect for .. This makeup and accessories storage box is a pretty container for the dressing table. It is ma.. The Olga Baroque Display cabinet is a charming little item in which to keep you makeup goodies .. 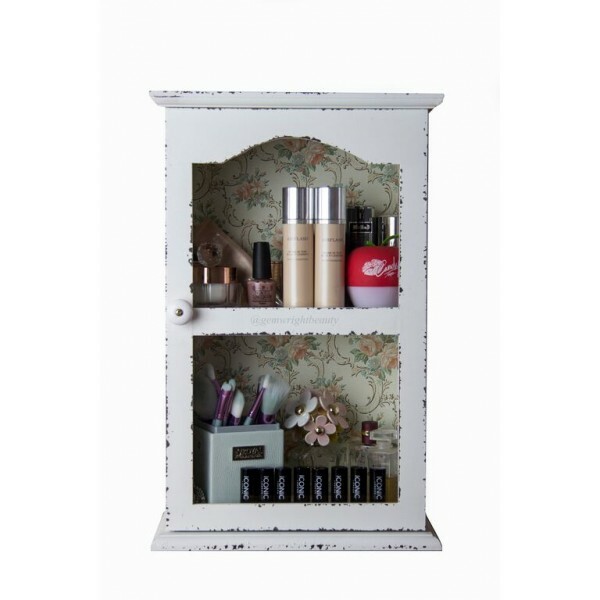 This Stunning Cabinet is perfect for storing your makeup. You can organise your makeup and make it a feature piece on your dressing table. It also has hooks on the back if you would prefer to hang it on your wall. 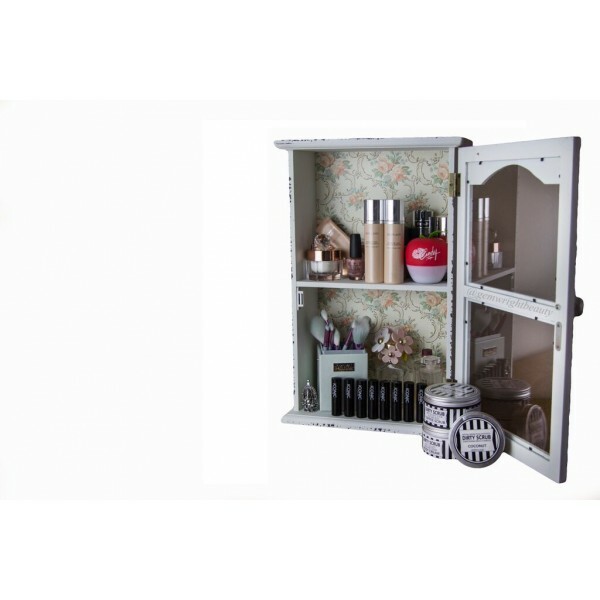 The Florence cabinet has two deep shelves perfect for your foundations, lipsticks, nail varnishes and accessories and a door that opens with glass panels. This Stunning Cabinet is perfect for storing your makeup. You can organise your makeup and mak..